To truly have a successful Lockout Program, a company must establish a Plant-Specific or Corporate Lockout Standard. Having a Lockout Standard for your company ensures consistency and compliant Equipment-Specific Lockout Procedures. 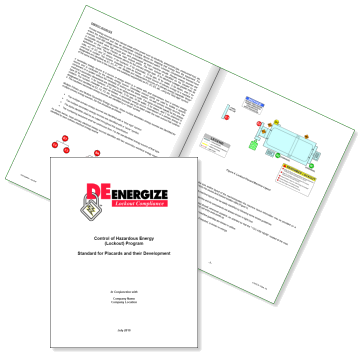 DEenergize can develop a Corporate Standard for a nominal fee. However, often times, we will develop a Lockout Standard for companies in conjunction with our Turnkey Lockout Services at no cost. We have been fortunate to have had the opportunity to write these Lockout Standards for many corporations and small businesses all across North America. With these learned experiences, the DEenergize team offers your organization the most comprehensive Lockout Standard to fit your needs. The Lockout Standard is primarily developed for equipment/machine manufacturers installing equipment at the end user's facility. By having a Lockout Standard in place, the machine builder will be provided the resources to develop Lockout/Tagout documentation per the company's specifications. Typically, the Lockout Standard is sent out to the equipment builder at the bid stage within the end user's Equipment Specification Manual. A typical DEenergize-developed Lockout Standard will briefly discuss the regulations governing Control of Hazardous Energy (Lockout/Tagout). 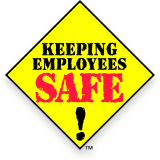 However, the Lockout Standard focuses primarily on Equipment-Specific Lockout Procedures or Lockout/Tagout Placards. Utilizing visual and detailed descriptions, the Lockout Standard identifies the use of Primary, Secondary and Stored Energies within the Lockout Placard. Also, shown and described within the standard is the proper layout required depicting the equipment or machine. The standard also details the proper color coding and approval/verification process amongst many other items that make the Lockout Standard invaluable to the end user. By providing these Lockout Standards to companies, we have found the consistency from procedure to procedure or even plant to plant is at an all-time high with our customers. Consistent Machine-Specific Lockout Procedure or Lockout Placards only enhances our customers' Safety Programs and creates a safer work environment. For additional information regarding Corporate Lockout/Tagout Standards or to request a quote, please use the Contact Information page to contact the DEenergize team and discuss your company's specific needs.